.Akili El-Amin was convicted as juvenile in 1990 for 1st degree intentional homicide w/armed With dangerous weapon ; He has had 12 defers, each one with reason give that he had not served enough time for punishment. His family is waiting for him. At the age of 16 years old, I was arrested in Racine, Wisconsin on October 5. 1989 and charged with being Party to a crime of First Degree Intentional Homicide while armed with a Dangerous Weapon in the shooting death of Christopher “Scogo’’ Rolle.. 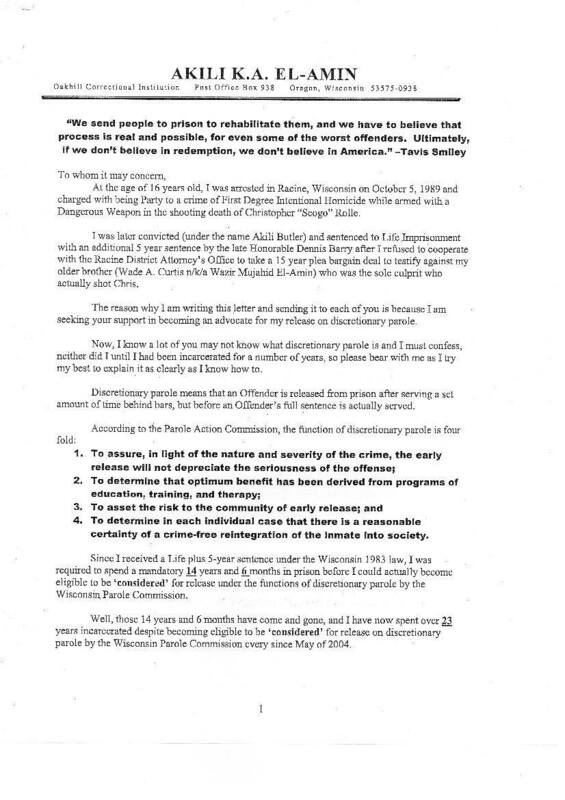 I was- later convicted (under the name Akili Butler) and sentenced to Life Imprisonment with an additional 5 year sentence by the late Honorable Dermis Barry after I refused to cooperate with the Racine District Attorney’s Office to take a 15 year plea bargain deal to testify against my older brother (Wade A- Curtis n/k/a Wazfr Mojahid El—Amin) who was the sole culprit who actually shot Chris. 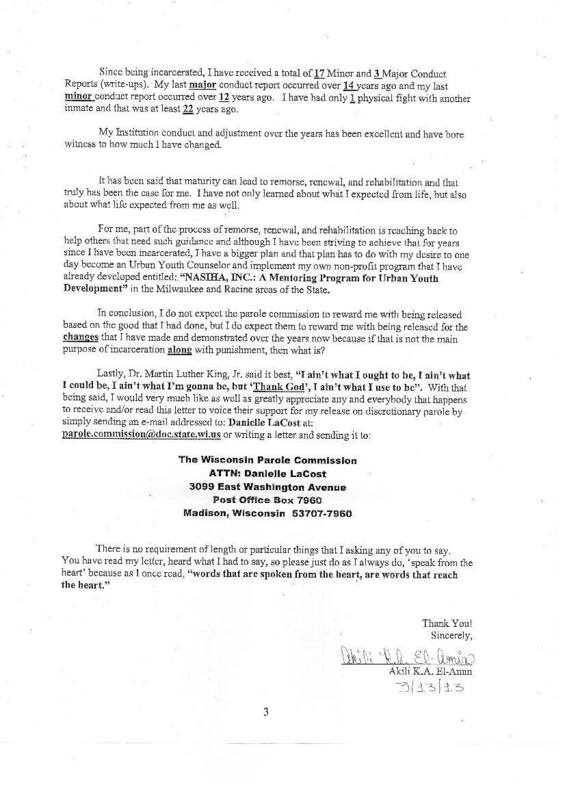 The reason why l am writing this letter and sending it to each of you is because I am seeking your support in becoming an advocate for my release on discretionary parole. Now, I know a lot of you may not know what discretionary parole is and I must confess, neither did I until I had been incarcerated for a number of years. so please bear with me as I try my best to explain it as clearly as I know how to. Discretionary parole means that an Offender is released from prison after serving as set amount of time behind bars, but before an Offender’s full sentence is actually served. 4. To determine in each individual case that there is a reasonable certainty of a crIme-free reintegration of the inmate Into society. 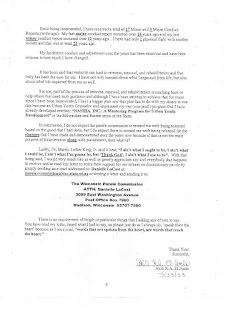 Since I received a life plus 5-year sentence under the Wisconsin 1983 law, I was required to spend a mandatory 14 years and 6 months in prison before ‘could actually become eligible to be considered’ for release under the functions of discretionary parole by the Wisconsin Parole commission. .
Well, those 14 years and 6 months have come and gone, and I have now spent over 23 years incarcerated despite becoming eligible to be considered’ for release on discretionary parole by the Wisconsin Parole commission ever since May of 2004. I have had 10 face to face hearings So far to no avail. Even though nothing has changed in the negative sense with the way I have conducted myself between these hearings. I have accepted their decisions and endured the adversity of being denied parole with great patience and perseverance time and time again. I will be the first to admit that no amount of programs or time that I serve can depreciate the nature and severity of the fact that a young roan (Chris) senselessly lost his life and for that am truly remorseful. Even though I am not the one who actually shot Chris, I do except full responsibility for being party to the crime because I know and truly believe now that I could have done many things differently that night that would have prevented some very minute arguments from being blown up and spun nut of control the way they were on that dreadful night. With that being said, l am not that same 16-year old boy mentally, physically, and spiritually who went along with his older brother when that crime was committed. Back then as a wayward youth, I often acted out of raw emotions, I had no sense of future Orientation, purpose or direction; I lacked effective coping and decision-making skills. I functioned on a daily basis by simply acting and reacting from an impetuous standpoint. As I began to make the transition from a boy to a man, my reasoning became my greatest ally and helped me to recognize the errors of my previous ways, to develop a sense of purpose, and a vision for my life beyond this prison setting. I recognize that I cannot change and/or undo any of the events that took place that has caused so much hurt and pain in so many people lives as a result of the decisions that was made on that chaotic night, but I was able to change me as an individual, the way I thought, the way I felt,, how l acted, and as I once road, ‘True remorse prompts change’. 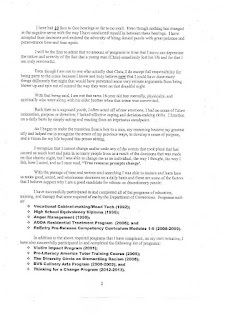 Reentry Pie-Release Competency Curriculum Modules 1-9 (2008-2009). Thinking for a Change Program (2012-2013). Since being incarcerated, I have received a total of 17 Minor and 3 Major Conduct Reports (write ups). My last major conduct report occurred over 14ycars ago and my last minor conduct report occurred over 12 years ago. 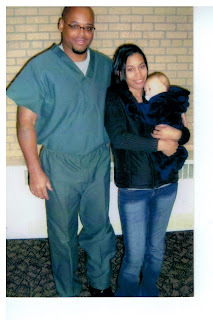 I have had only I physical fight with another inmate and that was at least 22 years ago. My Institution conduct and adjustment over the years has been excellent and have bore witness to how much 1 have changed. It has been said that maturity can lead to remorse, renewal, and rehabilitation and that truly has been the case for me. I have not only learned about what I expected from life, but also about what life expected from me as well. 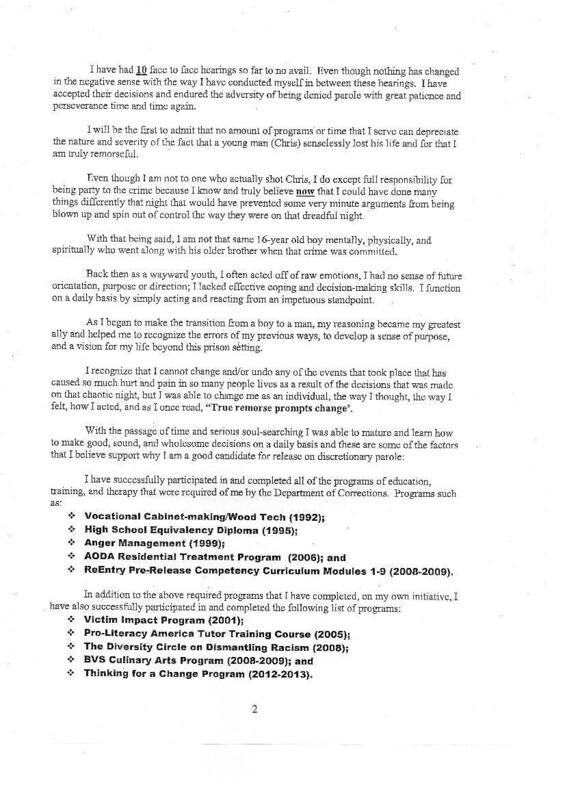 For me, part of the process of remorse, renewal, and rehabilitation is reaching back to help others that need such guidance and although I have been striving to achieve that for years since I have been incarcerated, I have a bigger plan and that plan has to do with my desire to one day become an Urban Youth Counselor and implement my own non-profit program that I have already developed entitled: “NASIHA, INC.: A Mentoring Program for Urban Youth Development” in the Milwaukee and Racine areas of the State. 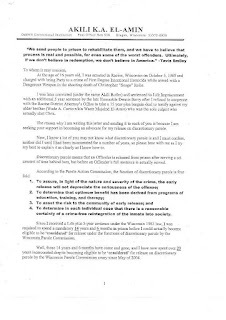 In conclusion, I do not expect the parole commission to reward me with being released based on the good that I had done, but do expect them to reward me with being released for the changes that I have made and demonstrated over the years now because if that is not the main purpose of incarceration aIong with punishment, then what is?